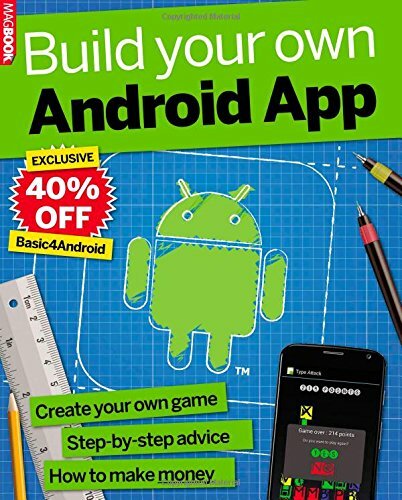 [PDF] Build your own Android App | Free eBooks Download - EBOOKEE! Description: Inside this magazine, we teach you how to create apps for Android, one of the most popular phone operating systems in the world. You ll find all the information you need to set up your PC for creating smartphone apps, and detailed guides on how to use the coding tools. We ll teach you all the essentials, including how to design your app for different sized screens, how to make it available to other people, and how to use freely available code to add extra features with the minimum of work. Along the way, you ll learn the key concepts of coding using the Basic4Android system, so even if you ve never written a computer program before you ll be able to create your first app in no time. Note: To work through the examples in the magazine, you will need Basic4Android, which runs under Windows. The first two chapters use examples that work entirely with the free trial version, and almost all the examples up to page 79 (in Chapter 3) can also be tried with the trial version, except where otherwise stated. The trial version will allow you to build some simple applications - as we show in Chapter 2 - for your own use, but not for distribution. To experiment further, or build applications to share with other people, you will need one of the licensed versions of B4A, which start at around 45. No comments for "[PDF] Build your own Android App".